In countries where Apple doesn’t officially support iPhone 4, prices go as high as $1500 for a software-unlocked set. But that really is nothing compared to what British designer Stuart Hughes has managed to pull off. Yes, dear readers. What you see above is a rose-gold-plated iPhone 4 covered with 500 diamonds. 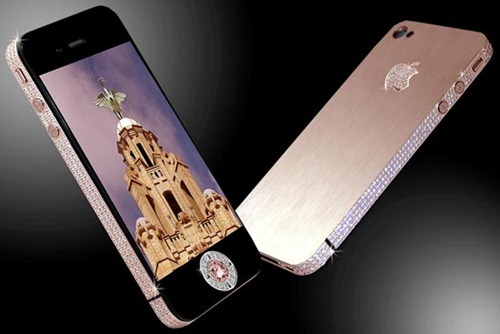 This customized iPhone 4 was made for a mega-super-duper-uber rich Australian businessman.